We had a stand up at Aberdare Road Races this weekend and had an amazing time. We watched some awesome racing and met loads of people – thanks to everyone who came over to say hello and a big thanks to Derek for inviting us. The absolute highlight though had to be when the legendary John McGuinness (we are not worthy!!!) came over to our stand to say hello. 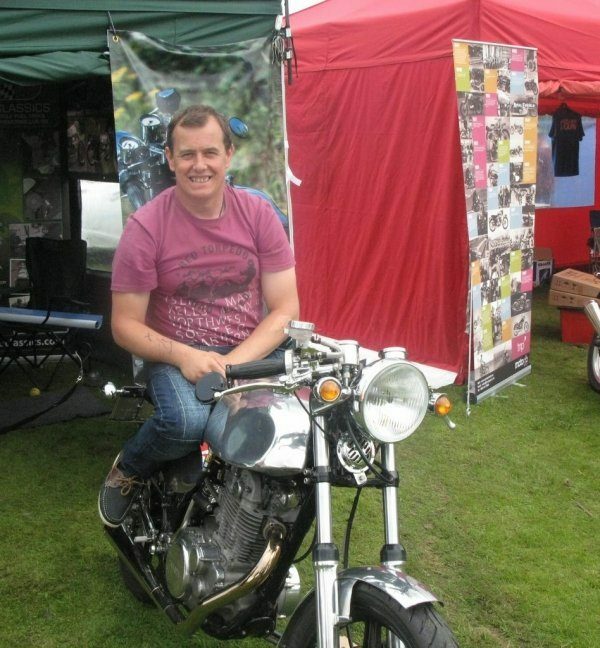 He sat on our Mark’s SR500 and Richard bored him to death talking about what we do; however saying that he did look very impressed and we feel honoured to have been able to tell him about us.